For many years, the Nissan Maxima has been one of the most appealing sedans on the market. This is the sedan that has the power and prestige of a luxury vehicle while being offered with the Nissan badge to make it more affordable for you. This car offers you a comfortable and sporty drive on the roads to make it a serious pleasure for you to take it out and enjoy what it offers. You’ll want to see the best of the dealerships in the Marrero, LA area in order to have the Maxima that’s right for you. When you inform the team at Ray Brandt Nissan that you need to have a vehicle that’s fun to drive while offering you the roominess you need for your family, they will show you the Nissan Maxima. They know this is the car that has the appealing performance you want along with the safety and comfort that will make your family feel great when you take this car out for a drive. Stop by and see this team today and take the Maxima for a test drive to see what it has to offer you. You know the right one of the Maxima dealerships to choose in your area for the car you want to drive, but what you don’t know is what the upgrades for this car happen to be. This car has been upgraded on the inside and on the exterior to give you the look you want. There’s also new wheel designs and an upgraded package of safety features. The Nissan Safety Shield 360 is now offered with automatic emergency braking, high-beam assist, and lane departure warning to give you an improved ride in Marrero, LA. Nisan has added Intelligent Forward Collision Warning to the list of items you can enjoy in your Maxima. This feature looks forward two cars to predict whether or not you’re going to need to brake hard to stop before the car in front of you. You’ll also enjoy the Rear Door Alert which will sound to let you know that you might have left a package, pet, or person in the rear of the vehicle before you leave and park the Maxima. These features make driving better and help you have the safety you want on the road. The right one of the Nissan Maxima models offered is available to you at the best of the dealerships in the Marrero, LA area. 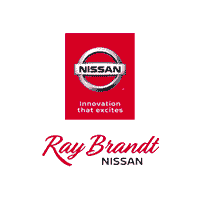 Come in and see the team at Ray Brandt Nissan today in order to find the vehicle that will allow you to have the drive you’re looking for. Get behind the wheel and enjoy the fun and active ride you’re looking for in a sedan that offers you a luxury feeling at a mainstream price. You’re going to admire everything the Maxima has to offer you.